WILLIAMSBURG, Ohio (Dec. 3, 2018) – The East Fork of the Little Miami River once more meanders on a natural path through the Village of Williamsburg, no longer constrained by a dam that was built in the early 1930s. The low-head dam, built during the Great Depression along with a waterworks pump station to provide drinking water to the Village, was breached on Oct. 13. 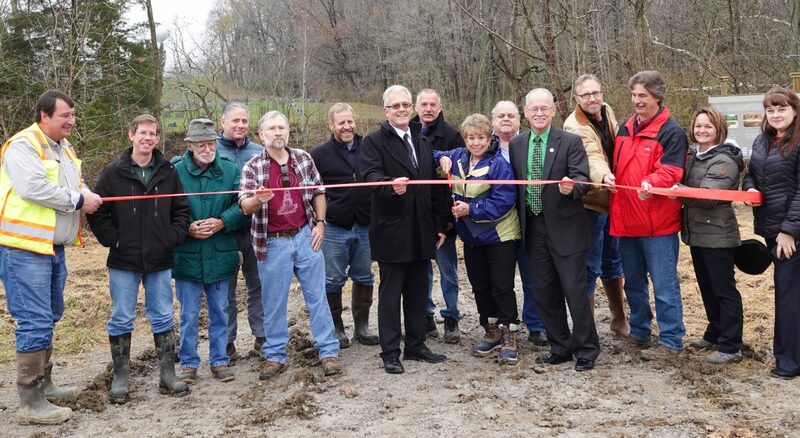 On Nov. 30, a ribbon cutting was held on the banks of the East Fork where the dam once stood to mark the completion of the project. 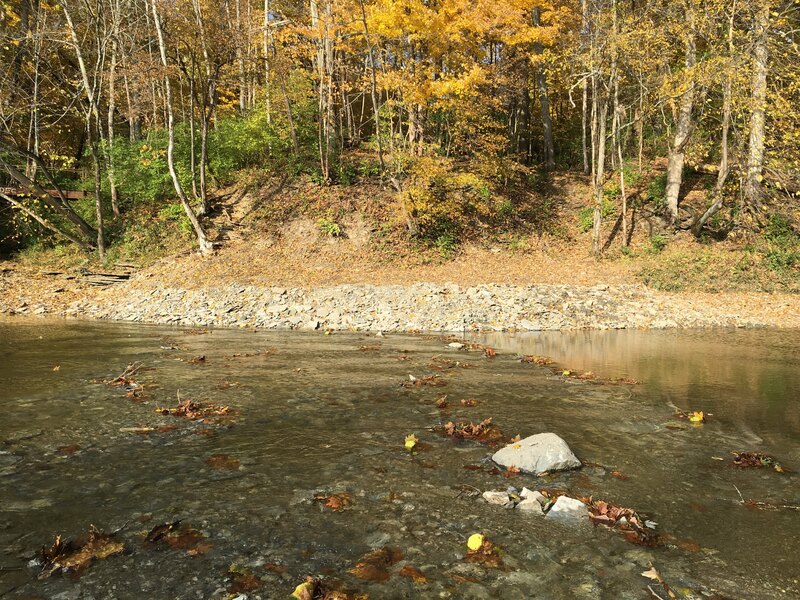 More than 60 low-head dams have been removed across the State of Ohio, said Rebecca McClatchey, watershed coordinator at the Clermont Soil & Water Conservation District. 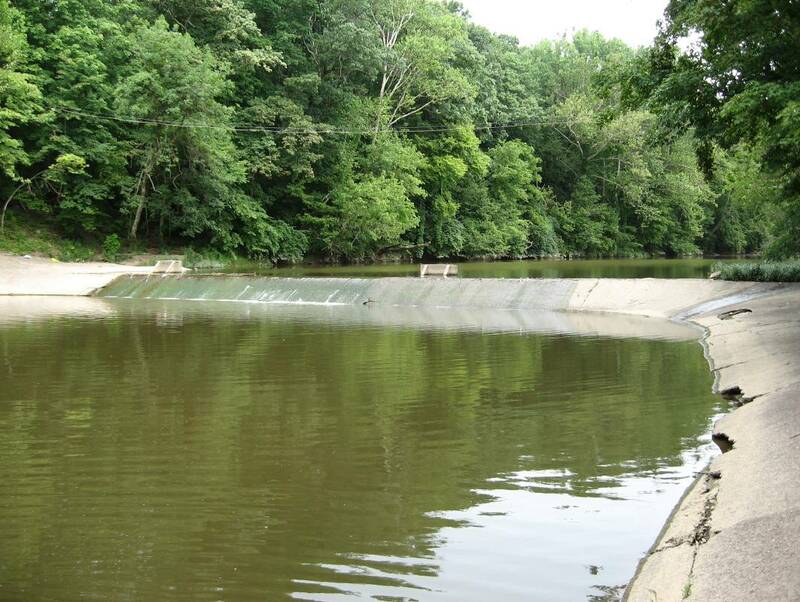 McClatchey, who coordinated the project, noted that these dams are dangerous. 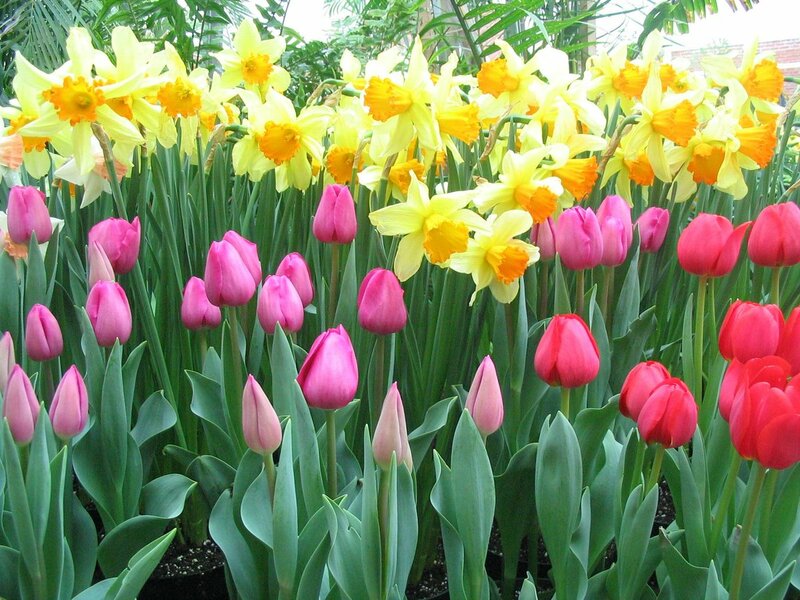 They create churn and can mask risky conditions. In 1974, brothers Kenny and Tom Harris drowned just below the dam in Williamsburg. A memorial in their honor in 2015 spurred renewed interest in removing the dam, and restoring the river to its natural path. 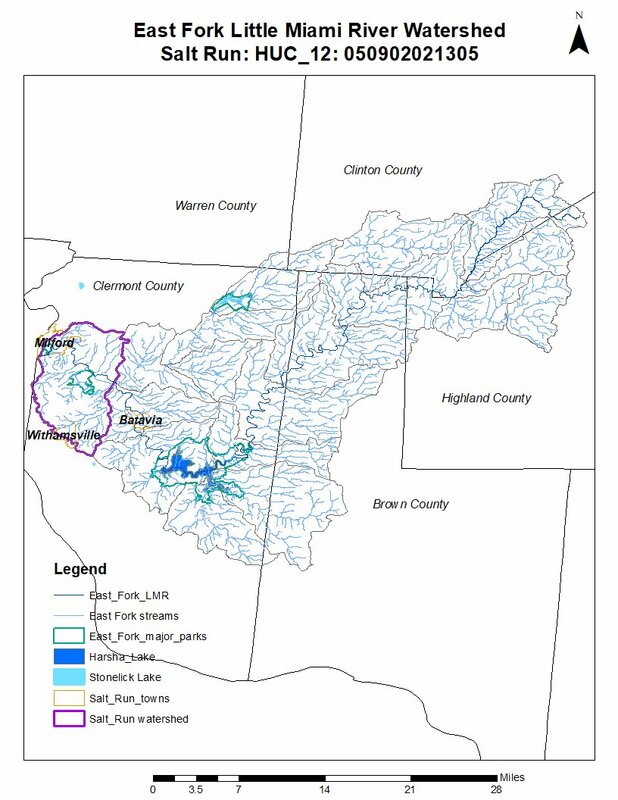 The project, which was funded by a $763,000 grant from the Ohio EPA’s Water Resource Restoration Sponsor Program (WRRSP), took several years of planning. 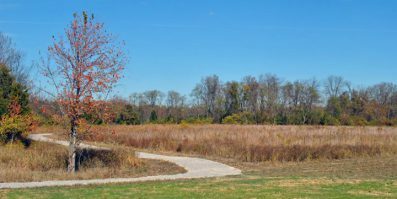 Partners included the Village of Williamsburg and Williamsburg Township, the Ohio EPA, the SWCD, the Clermont County Parks District, Dualite, Sunesis Construction, Environmental Solutions & Innovations, Wood PLC, and Olde Fireshouse Brewery. 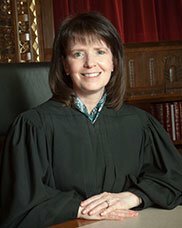 Another partner was the City of Akron, which sponsored the project through the WRRSP. Oct. 13 was breach day. As the dam was breached, it lowered the river level upstream and exposed hundreds of mussels along the river banks. 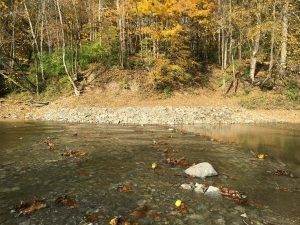 Sixty-plus volunteers worked on both sides of the river to collect more than 500 mussels, which were either planted upstream or moved to the Mill Creek in Hamilton County. After the dam was demolished work was done to reshape the channel, said Warren High, a senior biologist with Wood PLC who managed the project. The banks have been seeded with riparian grass, and shrubs and trees will be planted next spring. “We can expect to see greater diversity in fish and other species,” High said. Water quality will improve and the river will be better for kayakers, he and McClatchey said. How the low-head dam looked before demolition. The East Fork has begun to reclaim its natural shape after the dam was removed.